I’m finally home after a short hiatus at college. I wanted to write this post the night I was traveling, but lethargy. 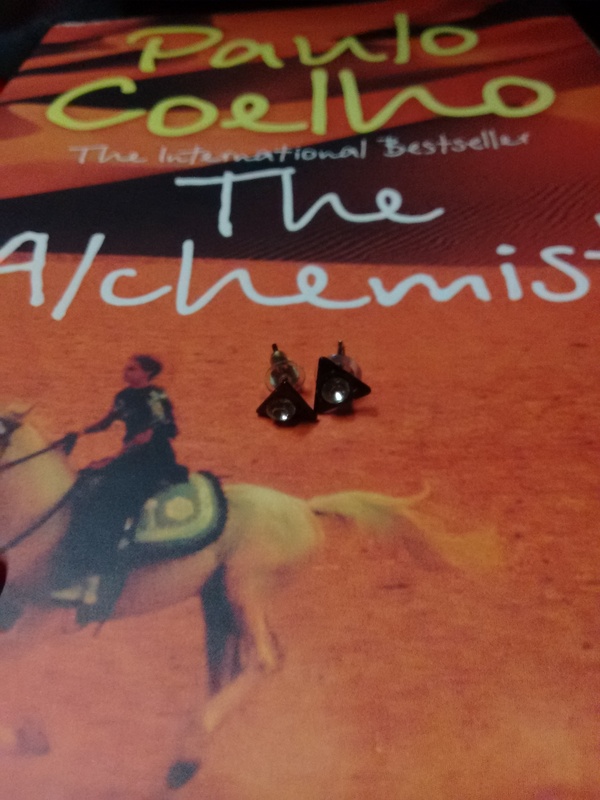 This pair of small cute, black studs was gifted to my by me ex. No, not that kinda ex. My! Your imagination runs. Alright, it was a gift from Priyanka who was my roomie for year one of college. She’s this bubble of energy who can charm even the most reserved people. I couldn’t even believe that she had a science background in her graduation because she’s just the perfect journalist that I’d always pictured in my head. And we’ve parted Ways on the room front to accommodate other people, but we’re always bumbling into each other in the corridors or rooms. I was trying to read The Alchemist but I could progress much as I had the night bus and I was travelling with a friend. There’s something very comforting about travel that it relaxed you and opens you to a whole lot of thoughts that you wouldn’t normally have if you were sitting in your bed and wondering what to do. Anyway, this time, on reaching Bangalore, I took the local Bmtc bus instead of a plush cab. It was pleasant weather and the ride, although an hour in itself, was relatively peaceful. Not many people know I’m in the city, it was such a hasty decision after all. More on Bangalore Times, later. Adios for now!